Powerful and authentic, Catching Sight of Thelma & Louise dives off the edge into the truth of women’s experience in the world. 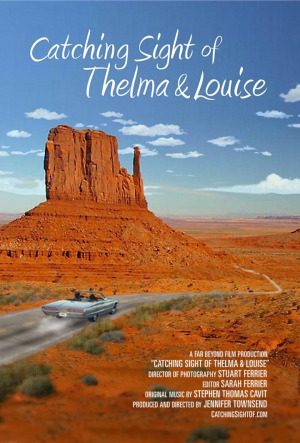 It revisits the journey of Thelma and Louise through the lens of viewers who saw that iconic film in 1991 and shared intimate, personal stories at that time. The same women and men were tracked down 25 years later. Are their responses different now? What has changed in the way women are treated? Clips from Thelma & Louise weave through the interviews, revealing why this cinema classic continues to resonate with millions of viewers the world over. Christopher McDonald, who played Thelma’s husband, and Marco St. John, who played the truck driver, come along for the ride.